The French education system is unique and can be quite hard to understand at times, especially when trying to find out what levels of study in France are equivalent to those in your country. The most noticeable difference to most countries is that universities are not seen as the pinnacle of the education system. Instead this spot is taken by the country’s ‘Grandes Ecoles,’ which are smaller than the universities and highly selective. It is in these institutions that the country’s future intellects, such as politicians and senior civil servants, are educated. 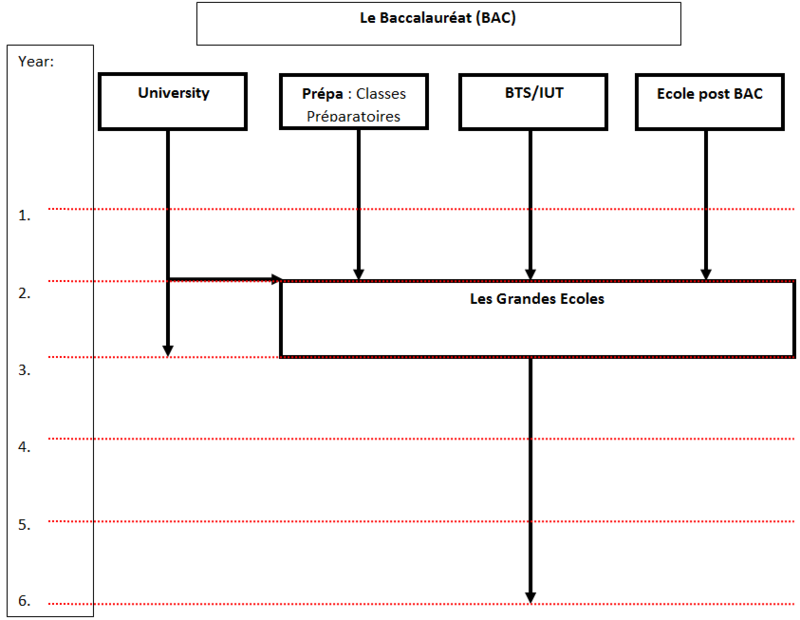 The baccalauréat (BAC) is comparable with A-levels in the United Kingdom and SATs in the United States in that the serve as an entry route to university. Having a more competitive selection process, the Grandes Ecoles will usually require an additional two years of validated study after the taking of the BAC, this is where the commonly heard ‘BAC +2’ comes from. This can come in the form of either two years of study at university, two years doing ‘classes préparatoires’, continuing on at a lycée, two years completing a BTS (Brevet de Technicien Supérieur) or IUT (Institut Universitaire de Technologie), or two years at what are called ‘écoles post BAC’.